Traveling around the world or across the state means taking along a few specialized travel gadgets to make the trip enjoyable. They range from audio enhancers, long lasting charge and sync cables, batteries, chargers, car adapters, headphones, hotspots and more. These are the gadgets I like traveling with and you will too. I took them on the road, in the air and across the US to test for you. Wireless headphones are new and there are a few available on the market. Before spending about $200 on a pair, it’s a good idea to know what you will be using them for like while exercising or daily use. The way they fit in your ears are different for each activity. If you want one of the best wireless pairs on the market, with excellent sound and the ability to stay in your ears while running, the Jabra Elite Sport is the perfect wireless pair for you. They pair with several apps, are firmware updatable and come with a compact rechargeable case for up to nine hours of use. Jabra takes their sports wearable seriously by including an in-ear precision heart rate monitor and analyzer with audio coaching too. I am very excited to have finally tested a pair of Monster headphones. The Elements in rose gold have been very nice on several trips and a super long lasting battery. I watch a lot of streaming shows on my iPad and listen to many hours of music. They worked exactly how they were supposed to. The Elements are not tuned to produce excessive amounts of bass, but definitely do perform nicely while listening to electronic dance music. I have heard new parts to popular music with these headphones that were not present in a car with a Bose system. I wore them in several airplanes and have received a few compliments. They are more gold in color than pink, so that was nice to see. We have featured the Aftermaster Pro on MacTrast during their crowdfunding campaign. We found the idea of this audio hardware so unique, compact and portable, that it made us excited to showcase the project. I saw the final product at CES and now have had a chance to test one out. This audio gadget pulls double duty by remastering sound for your home entertainment system and while on the go. There are three HDMI ports and one micro USB port on one end and two 3.5mm headphone jacks on the other. Either use it in the home to boost the quality of the audio coming from a gaming system and a Blue Ray player or while on the road with your smartphone. It comes with an internal battery for hours of untethered use on the go. For the world’s first personal re-mastering device, it certainly does a good job of adding that extra layer of rich sound that I have always been missing from what the iPhone could produce. Wall chargers, car chargers and cables are necessities of the travel warrior. Ventev makes some of the most impressively tested cables. They mostly include a limited lifetime warranty too. Their customer service is very helpful when needed. I spoke to one of their quality specialists at CES and he told me they constantly iterate or update their cable connection design for best performance. It shows with their constantly upgrade line of cables, car chargers, wall adapters and backup batteries. I have personally enjoyed the use of Ventev products for over a year. They have Quick Charge 3.0 enabled chargers for the newest gadgets that support this standard of fast charging. I found the ultimate and most advanced battery while touring CES 2017. It is the Omni 20 from OmniCharge. They make two versions of their advanced battery, but this one is truly impressive. For starters, it has a wireless charging pad on top to charge Qi wireless devices. There is a three prong power port on the side that can handle a MacBook Pro Retina laptop. It comes with Qualcomm Quick Charge 3.0 technology. Most impressive is that the battery can recharge itself via conventional methods and by a compatible solar panel. Buttons near the OLED screen help to select the right voltage of incoming and outgoing power. Need one more reason to want the Omni 20, it can charge your device while the battery itself it powering up. I learned of TYLT and its cool powered products years ago from a crowdfunding campaign for their first ENERGI backpack. From then on, I have reviewed and enjoyed many of their gadgets from car chargers to excellent battery packs. I utilized their last backpack on a trip throughout Canada and many destinations in between. The new ENERGI PRO has enough pockets for everything that I need to bring along on my trips and then some. Its ability to charge my gadgets while they are secure inside is a big plus. I know exactly where they are and can grab whatever I need without looking. This helps while attending busy events. Upwards of 30 pockets and one that can block RFID signals from scanning your credit cards or passport. I wrote about their excellent hoodie last year and have enjoyed my time with the Enforcer, their newest jacket for men and women. It is made with the right material to keep you warm in the winter while also allowing for adequate air flow. Read my in-depth review of a SeV Knowmatic Hoodie here. Traveling past Canada and Mexico with your smartphone and tablet can mean huge wireless data bills on your return, even if you add an international plan. Goodspeed fixes this problem by offering fixed daily data plans. Once you hit the limit, it stops working. There are no overage fees or surprises. I used the Goodspeed 4G LTE hotspot around Dubai, Asia and Japan with great success. I reviewed their 3.5G hotspot last time around and this new version is better in every way. Their engineers somehow managed to optimize battery life even with greater demands of 4G LTE. Action cameras are not all created equal. This is a good thing because companies like EZVIZ have created a 4K compatible video camera that both come with multiple accessories and costs less than the originator. It requires a UH3 high speed micro SD card for recording in 4K. It can record in 4K at 30 FPS and 720p at an impressive 240 FPS. An integrated 2” HD touchscreen is clear and easy to use while the waterproof case protects it while in use. The 158 degree lens and 12MP imaging sensor does a professional job of capturing what is important. HDR high dynamic range hardware automatically adjusts for the best video. Recording video and photos in a new perspective of a location is entirely necessary with the existence of Instagram. Hundreds of millions of people are capturing the very essence of what makes every out of the way place on Earth special. To get this new perspective, devices that help us to get above and beyond, to explore heights unattainable by natural means are all from a drone. Yuneec, the makers of the Breeze, offer a drone with 4K capabilities. Control the Breeze with your smartphone and get the video and photos that you need to get to that next level creatively. The Samsung Gear S3 Frontier with AT&T 4G LTE service is one of the most highly rated wearable devices that I have tested. This smartwatch has been rock solid for several months. It does everything from automatically tracking activity to making calls independently of a smartphone. Joined with a phone, it becomes a handy speakerphone. Tizen, its OS homegrown by Samsung, is new and apps are still being crafted for it by developers. However, it is now in a position to alert and control devices in the home, like a DirecTV system. More than that, it is comfortable to wear and is even more useful than the S2 with the ability to wirelessly pay via Samsung Pay. The Gear S3 Frontier has become my go to wearable each day. Fine leather products for use in travel and business are both cool and needed as they last a long while. Fine grain leather wears nicely with age too. It gains a type of character, with stories of travel, late nights and interesting situations. WaterField Designs’ Leather Dopp Kit worked well for me on several long trips and will do so many years into the future. I like that it fits my portable technology, like smartphones and wall chargers. Having them at hand on flights, is great to keep them charged up and not forgotten. WaterField makes other leather bags and briefcases too, which I have reviewed on MacTrast. Backup devices mean the difference between a successfully captured event and calls for data recovery expert recommendations from contacts on Facebook. I am both speaking from brutal experience and from an example of what I mentioned above. The cloud is a great way to back up data, however there are those situations where a fast connection to the Internet is not available or if it is, is not fast enough to backup gigabytes of data in a short amount of time. 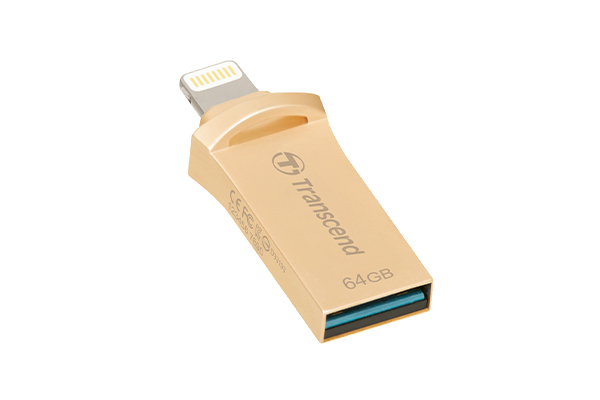 The JetDrive Go 500 from Transcend checks all of the boxes in that it can simply backup gigabytes of data from an iPad or iPhone in a few minutes or less. I have used it during events to backup media moments before and after large announcements. iPhones and Android smartphones have a funny way of locking up or bricking during events. Avoid excruciating data loss and keep piece of mind with this USB and Lightning flash drive. SanDisk has created a unique solution to a common problem with tablets and smartphones. Internal storage space on both types of devices are increasing, but not over 128GB yet. What this wireless memory stick does is store and stream audio and video files to multiple devices simultaneously. iPhones, Android smartphones and tablets can stream the same movie file to them without a hiccup. Need access to a photo album but want to keep it safe in a bag and not on a device that could easily be lost? SanDisk’s Connect is the wireless memory solution you need. Moshi’s newest ionbank with 10k mAh of power has multiple tricks up its sleeve. The first is a foldable side pocket with two integrated cords. One of them has a full sized USB cable that charges itself and the other is a Lightning cable. They are able to fold out independently so that two cords do not get in the way. The second cool trick it has is an automatic charging circuit so that an iPhone charges when plugged into the battery. Most importantly, the battery sends current out at 2.4A, fast enough to charge iPads and an auto off option. I am constantly checking my gadgets to see if they are done charging. I do this by turning on the phone to see its charge percentage. Moshi’s new USB Type-C cables have small LED indicators that either glow orange for charging or green for charged. It is a simple yet elegant solution to knowing at a glance if a smartphone has a full charge. The connections are encased in metal, which lends to a premium look and feel. ITG’s glass screen protectors are better than most I have tried in the past. They are sized to fit inside of their Level case and do not break with simple drops. At 9H hardness, the highest level there is currently for smartphone screen covers, it is surely to last a long time. My ITG Level case and glass screen cover has lasted over a year with very little signs of wear. 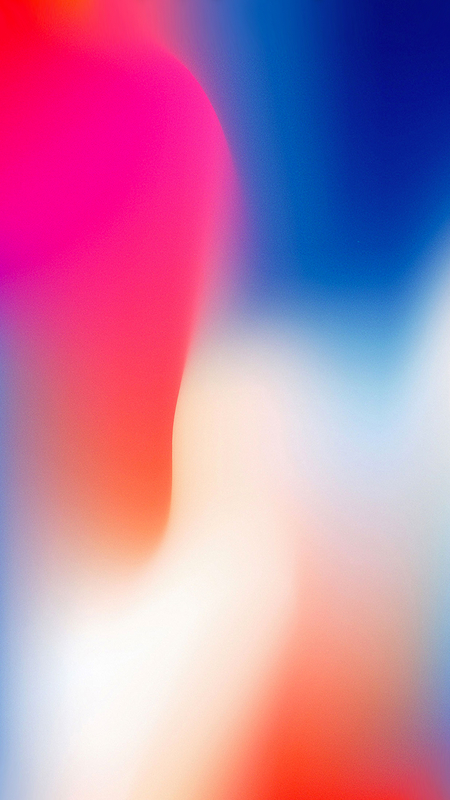 I use my iPhone a lot more than an average user and have not noticed any cracks in their 9H screen cover. ITG offers a privacy version of this glass too. The iPhone 7 Plus is a large smartphone. Keeping the jet black and (PRODUCT) Red in near perfect condition is easy with ITG’s military spec’d LEVEL case. I have been using the LEVEL case on my iPhone 6S Plus and it has kept my phone mint on the inside. You can get the case for the 7Plus, 6S Plus and 6 Plus. Their 9H glass screen covers are made to fit in the LEVEL cases. Textured sides are great for gripping the phone. This case has been tested for over a year on previous iPhones and is one of the best at this price point. The last thing anyone wants to do is think about their gear when traveling across town or around the world. I have found the above products to be solid and work well when needed. Overall, they save me time and money, especially the Goodspeed hotspot. Stay charged up, connected and look good while knowing that your important data is safe. Disclosure: Products above have been provided at no charge for review. All thoughts and opinions are my own. Photos are courtesy of the brands.